The Emory-UGA CEIRS, including partners at the University of Georgia and Harbin Veterinary Research Institute in China, is one of five national centers that integrate research to improve pandemic preparedness. Every year vaccine experts and manufacturers face a daunting challenge: formulating a flu vaccine that can handle whatever flu season brings. Dr. James Steinberg of Emory University School of Medicine sheds light on how the influenza vaccine is formulated and manufactured. The National Institute of Allergy and Infectious Diseases (NIAID), part of the National Institutes of Health, has awarded Emory University a contract to fund the Emory-UGA Center of Excellence for Influenza Research and Surveillance (CEIRS). The first-year award is approximately $3.6 million, with potential funding up to a total of $26.7 million available over seven years. The contract award includes a subcontract to the University of Georgia and to the Harbin Veterinary Research Institute in Harbin, China. The Emory-UGA CEIRS was originally launched and funded in 2007, when the NIAID created a network of six national centers. The new NIAID contracts fund five institutions that now comprise the CEIRS network. In addition to Emory, these are the Icahn School of Medicine at Mount Sinai, New York; Johns Hopkins University; St. Jude Children’s Research Hospital; and the University of Rochester Medical Center. The Emory-UGA CEIRS is led by principal investigator Walter Orenstein, MD, Emory professor of medicine and associate director of the Emory Vaccine Center, and co-principal investigator Richard Compans, PhD, Emory professor of microbiology and immunology. Ralph Tripp, PhD, professor and chair of animal health vaccine development at the University of Georgia College of Veterinary Medicine and a Georgia Research Alliance Eminent Scholar, is project leader at the University of Georgia, with co-project leader Mark Tompkins, PhD. Hualan Chen, PhD, is project leader at the Harbin Veterinary Research Institute. A group of other researchers will lead individual cores and projects under the contract. The CEIRS network conducts collaborative influenza research that is closely integrated with surveillance data from human and animal populations in the United States and around the world. The network played a significant role in the nation’s response to the 2009 H1N1 influenza pandemic by quickly characterizing the virus and performing pre-clinical testing, leading to vaccine development. "We are extremely pleased to again be part of this important national and international research and surveillance network," says Orenstein. "It is critically important to have a coordinated and focused response to the emerging public health threat of globally circulating influenza viruses. Our center is well-positioned to continue our research into understanding how influenza viruses can become pandemic threats and the factors that can lead to optimal immune response to emerging flu viruses, including basic understanding of immunology that can underpin development of vaccines active against all strains of influenza (i.e., universal vaccines) leading to long term immunity." Studies within the Emory-UGA CEIRS will include surveillance of influenza viruses that infect swine, their evolution, and investigations of swine immune responses to virus infection. With collaborators in China, animal surveillance efforts will include both swine and poultry. Basic research projects will include efforts to better understand the human immune response to influenza vaccination, including responses of pregnant women and determination of genetic signatures that correlate with optimal immune responses. Studies are planned to evaluate the duration of influenza antibody producing cells in the bone marrow, which could aid in the development of influenza vaccines that would induce long lasting immunity to multiple strains of flu. 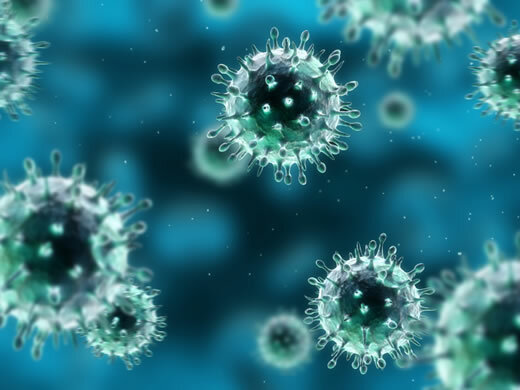 Under its new funding, the international CEIRS network will continue to conduct basic laboratory research and integrate discoveries with surveillance data and virus sample collection, particularly in locations where new influenza outbreaks are known to originate, such as Southeast Asia. Collaborations are also established or planned at more than two dozen sites in the Far East, Southeast Asia, the Middle East, South America, Europe and Australia. Further information about the NIAID CEIRS program can be found in this NIH Press Release.